Cadillac Motor Car Company, of Detroit, MI, first produced cars in 1903, and by 1915, had introduced the V-8 engine to America. They created some of the greatest coach built cars ever in the 30’s, and the 1941 Cadillac was the evolution of the landmark design of the 1938 Sixty-Special by famed GM designer Bill Mitchell. 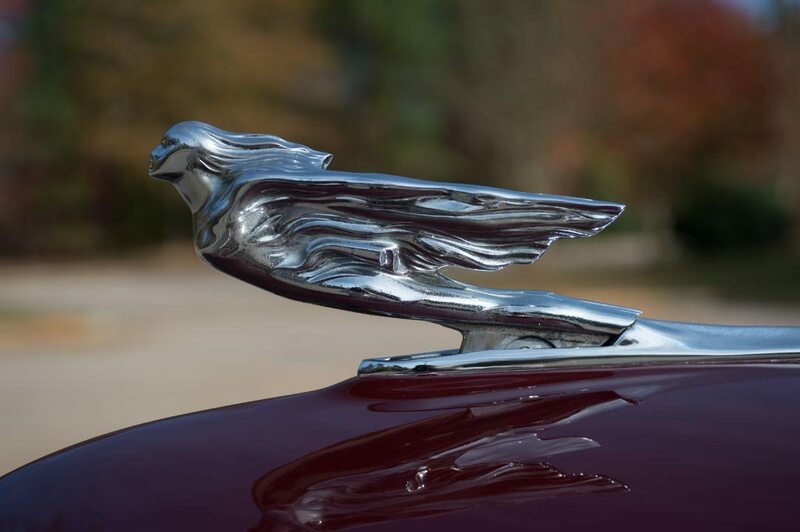 1941 was a landmark year in many ways for Cadillac, with production of 66,130 units, their highest total ever, placing them neck and neck with Packard and cementing Cadillac’s future as the dominant American luxury car brand. 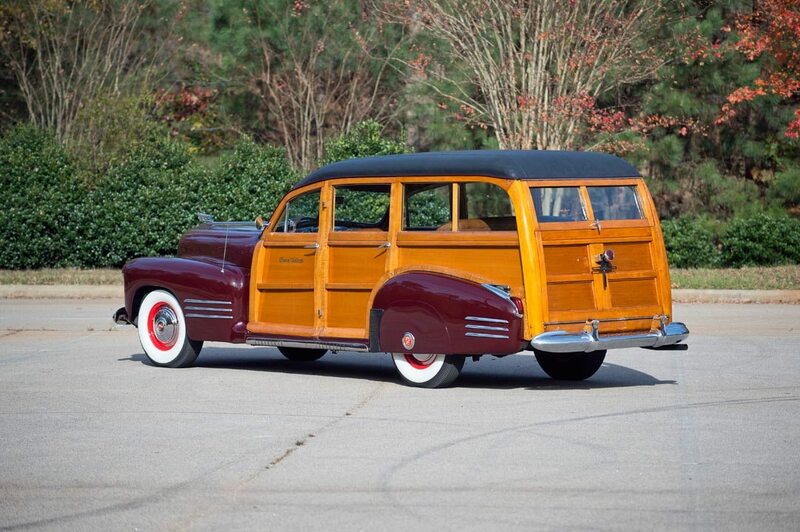 This unique 1941 Cadillac Series 61 is likely the only authentic period-built 1941 Cadillac woodie in existence. 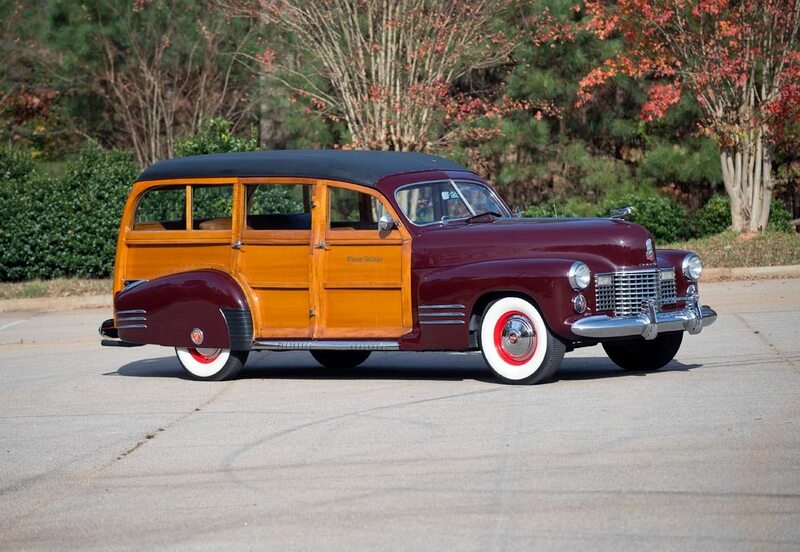 Sold new as a Series 61 sedan at Van Brunt Motors in Horsehead, NY, a one-off Cadillac Estate Wagon woodie was commissioned sometime during World War II, using coachbuilders on Jerome Avenue in the Bronx, an area that was home to a thriving community of auto wholesalers, coachbuilders, and auto body shops. The brass tag documenting the build still resides on the interior just above the tailgate. The earliest known photograph of the car shows it at the Bar Harbor, Maine estate of George Stockton Strawbridge in 1946. The founder of Strawbridge and Clothiers Department Store in Philadelphia drove the Estate wagon for several decades during their summer vacations in Bar Harbor, Maine, using to pick up guests at the train station. The Cadillac was stored each winter, explaining the low 31,000 original miles. It was eventually shown at Hershey in the 70’s, and sold to Alex Wars of California, and then a decade later, sold for display at Woody World in Ocala, Florida. Michigan collector Richard Kughn acquired the car in the 90’s, and displayed it at such venues as Meadow Brook, Eyes on the Classics and Amelia Island. 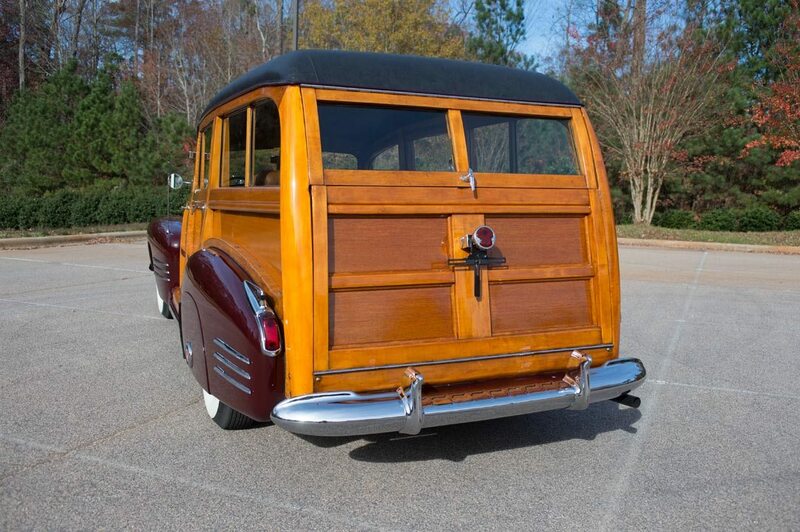 The Ramshead Collection of Sacramento, CA performed a sympathetic restoration to renew the car’s cosmetics while preserving as much originality as possible, most importantly, a careful maintenance refinish of the original Birdseye Maple and Mahogany used on the body and the interior. The paint and extensive chrome and stainless trim remain in show condition, and the highly original interior remains beautifully upholstered and finished like a time capsule in every way. The 346 cubic-inch Cadillac engine in this car was a perfect choice – well known for it’s torque and durability – and was used extensively in M-5 and M-24 tanks during World War II. This example is highly detailed and is a true pleasure to drive, and is concours clean from top to bottom. With a spectacular original interior, and acres of gleaming original woodwork, it’s easy to see why this Estate Wagon was invited by GM for display at the Pebble Beach Concours in 2008. 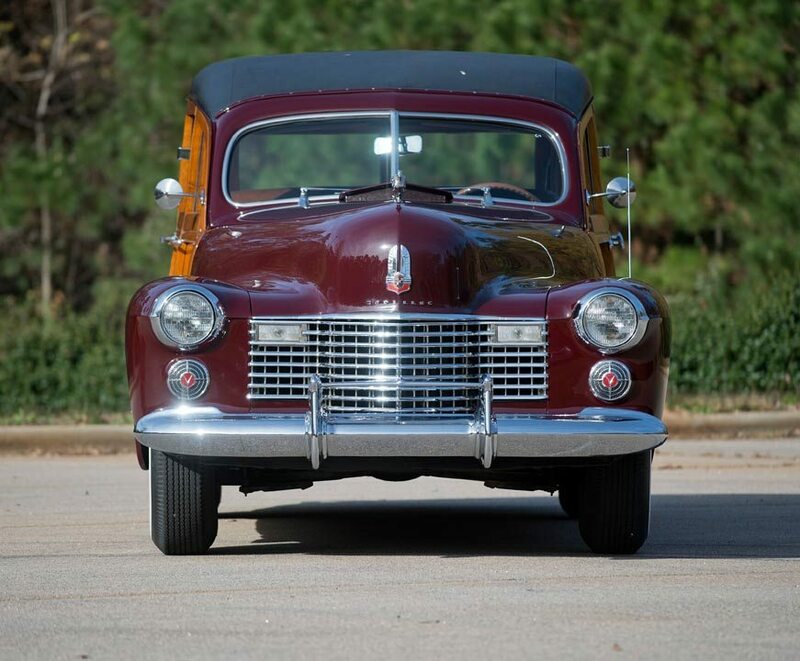 This exceptional Cadillac is highly documented, including the original Bill of Sale, and is comfortable on modern roads for up to nine passengers. It has won awards at the very highest level, and it’s unique history, the quality of the workmanship, and the highly original condition make this Estate Wagon an exceptional piece of Cadillac history that will no doubt be welcomed at virtually any classic car event the owner chooses.